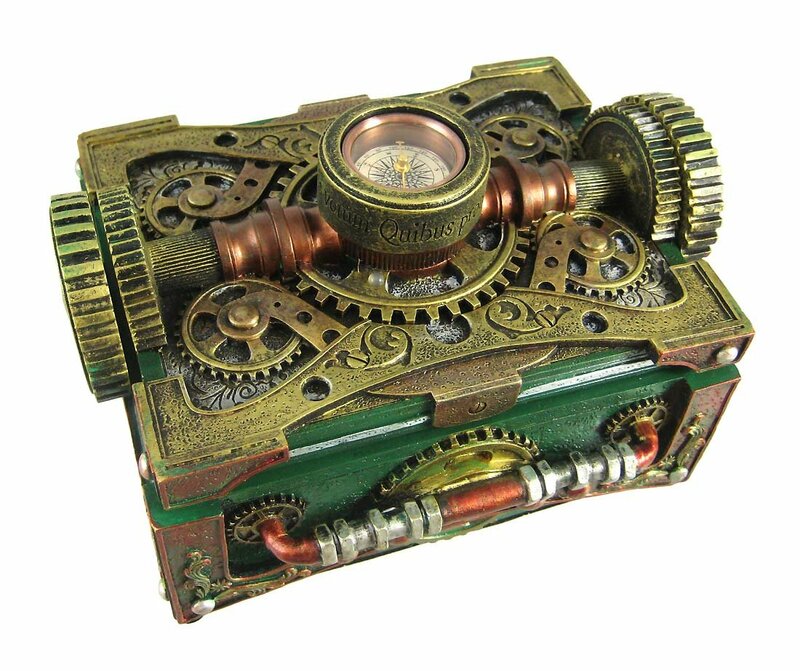 A friend of mine is a real Sci-fi nut and has asked me if I will help him create a steampunk style in his home office space. We first became acquainted when he started frequenting the Antique Mall that I used to manage and as the years progressed we became friends as well as having a business relationship. Knowing some of the pieces that he has purchased over the years, I was thrilled that he would ask me to help. Then I remembered his wife’s adamant refusal to allow any of those “rusty old things” inside the house and I said, “Buddy does Mrs. P know your plans?” He laughed and assured me that she had agreed to this but made him promise that he will keep the room to his office closed. He has agreed to let me tell you about all of this but would rather not have pictures of his home on the internet. So, I will respect that. I went over the other day to see the room, what pieces we might be able to use for the steampunk look and to take notes for how we might approach this decorating task. My first suggestion was to paint the walls to a more masculine color. Right now they are white, just plain old white so I have suggested that we use this nice beige color and then I will sponge paint texture to it with the rusty color. 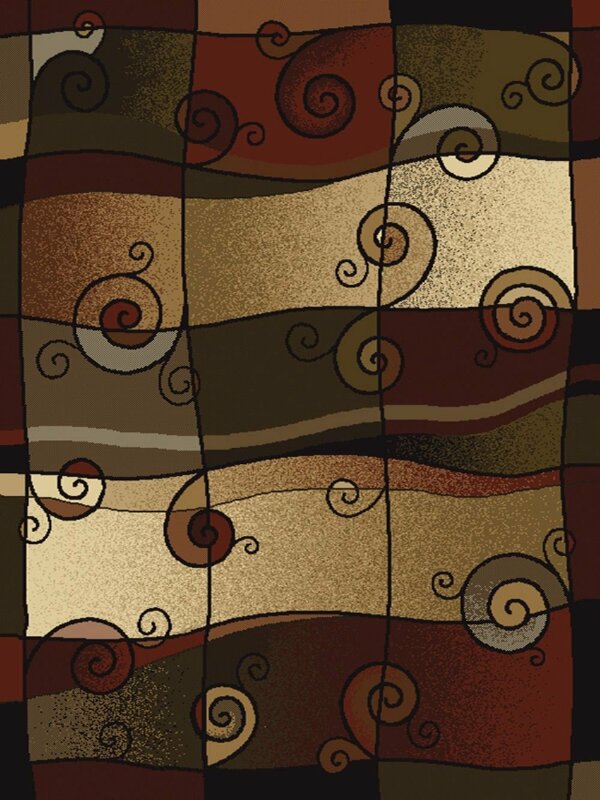 This color combination will work well with the furniture that he already has which includes a wonderful walnut desk and a wine colored wing chair. He has hardwood floors and woodwork that are also walnut and a floor to ceiling wall of bookcases that are built in that are also stained walnut. So, I think these two colors on the walls will look really nice. He and Mrs. P agreed with my suggestion on the paints. Maybe I should let you know that Mr. P did not actually suggest the Steampunk style just that he wanted me to help him use the pieces that he had purchased in the past. It was when I went over the other day that I actually said that I thought we should go with this style. His favorite reads of Fantasy and Science Fiction is the steampunk genre so it just made perfect sense to me to go with that kind of decor. He loved the idea! 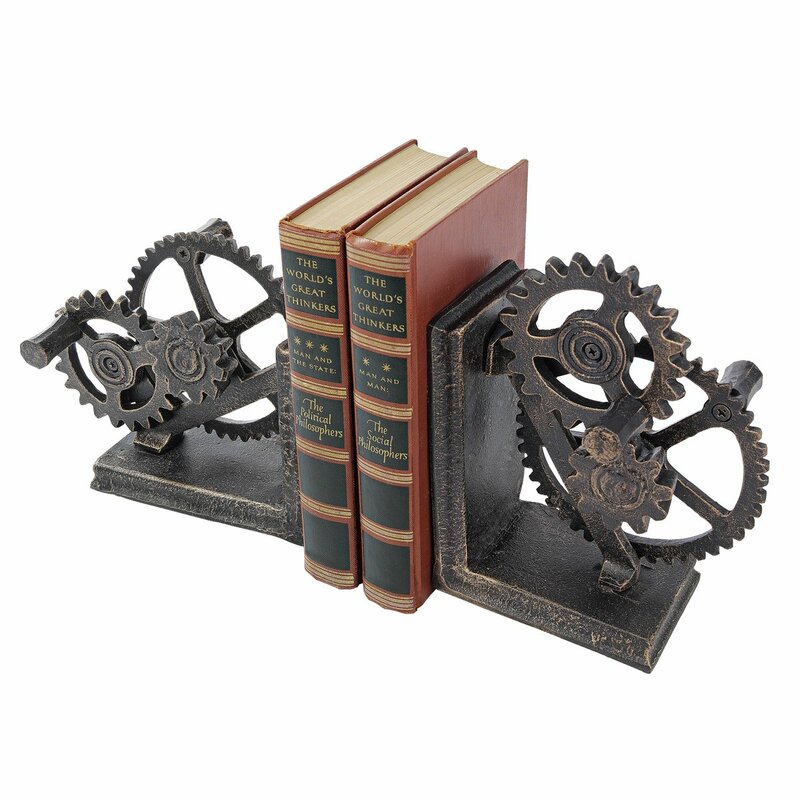 If you are not familiar with this genre of literature it is books and stories that feature steam powered machinery that may or may not have actually existed. Most times it did not exist and some of the fun is in the devices we use today presented in a contraption that would be imagined by someone who lived during the industrialized 19th century. These books can be an alternate history type of story or even a fantasy world of the future after an apocalyptic event where steam and gears are used to make machines for human use. Think of movies like the Time Machine or the newer Sherlock Holmes movies with Robert Downey, Jr.
As I mentioned, poor old Mr. P has had to keep his treasures out of the house. We made a quick look through the garage on the day I was there and I pulled out a few pieces to bring home with me. I’ll clean them up a little and start to play around with them to see if I can come up with a way to hang some of them on the walls and maybe use some in other places. 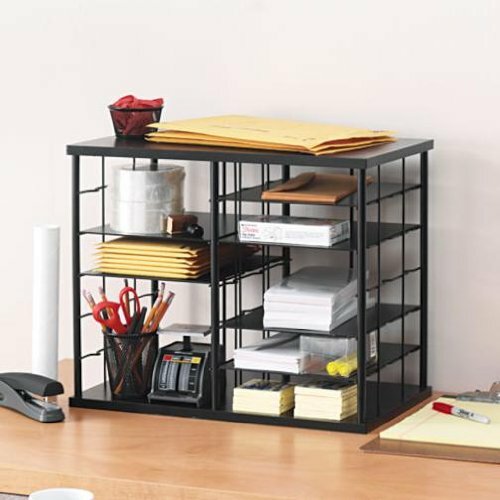 He and I both are drawn to the Industrial Gear set and will probably use a couple of pairs of those on the shelving where his books are. I think the other set would be nice to have on his desk. Speaking of his desk I have suggested that we could add a little interest to the desk while organizing it a little better. The trinket box can hold pens, pencils, paper clips and that sort of stuff. What I want to do with the organizer is to take my glue gun and add small little gears, old watch and clock parts and other little machine parts to the sides so that it will fit our theme a little better. I will be able to find those things at a flea market or antique mall. Here are a few other pieces that I brought home from Mr. P’s collection. He has a lot more but these were the easiest to get to and things that I thought we could incorporate into the decorating theme easily. I have asked my husband if he thinks that he could mount three of them on pieces of wood so that we can sit them on the book shelves. The large piece in the picture is a steam gauge and I want to hang that one on one of the walls. Aren’t these just so darned cool? To soften up those hard wood floors I have suggested this area rug that he absolutely fell in love with when I sent him the picture of it. The colors in it will go very nicely with the paint on the walls and the woodwork already in place. 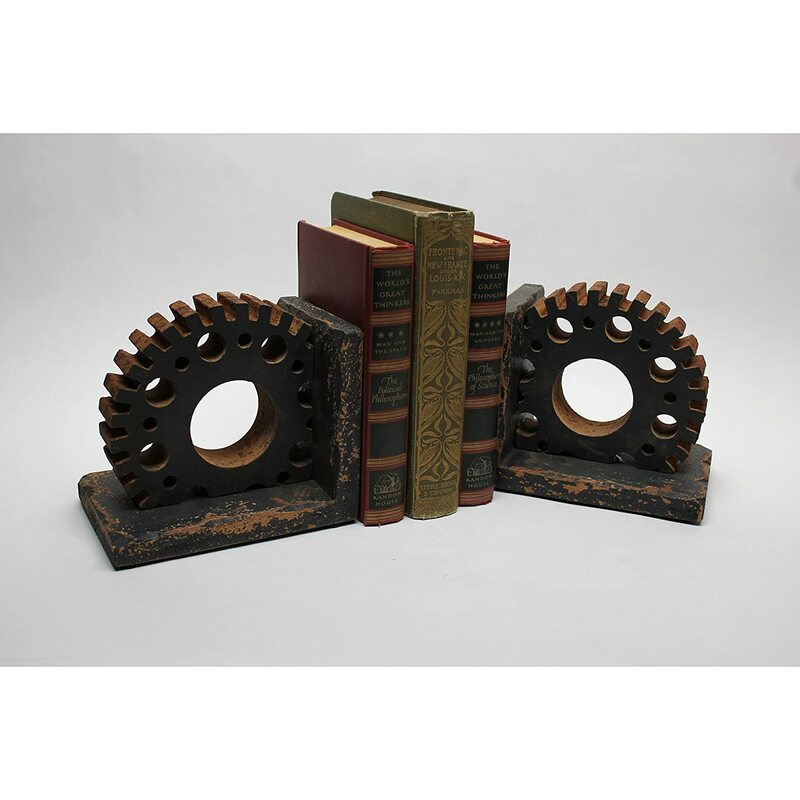 It is early in the project and we still have some decisions to make on his options, so I plan to keep you informed on other things that we decide to incorporate into Mr. P’s Steampunk style home office. I am hoping that with a little creativity we can convince Mrs. P that there will be no need to keep the office door closed because it will be a room that not only is he proud of but will not be just a place to store rusty old things.